The Three 'Feel at Home' free roaming promotion has long been welcome in my household. My wife and I have taken advantage of its (PAYG) value and simplicity in the USA, Hong Kong, and most recently the Canary Islands. However there's always room for improvement, and the most obvious improvement would to be to add more countries, especially popular holidaying destinations not yet covered. Now Three has announced that it will more than double the list of 'Feel at Home' countries from September. Belgium, Bulgaria, Channel Islands (Jersey & Guernsey), Croatia, Cyprus, Czech Republic, Estonia, Germany, Gibraltar, Greece, Hungary, Iceland, Isle of Man, Latvia, Liechtenstein, Lithuania, Luxembourg, Malta, Netherlands, Poland, Portugal, Romania, Slovenia and Slovakia. As I've never visited the Channel Islands, or the Isle of Man, I am surprised to learn that there wasn't free roaming there already. Nevertheless, the new selection enhances the attractive roaming offer in a wide selection of European countries you might go for personal, business or pleasure purposes. 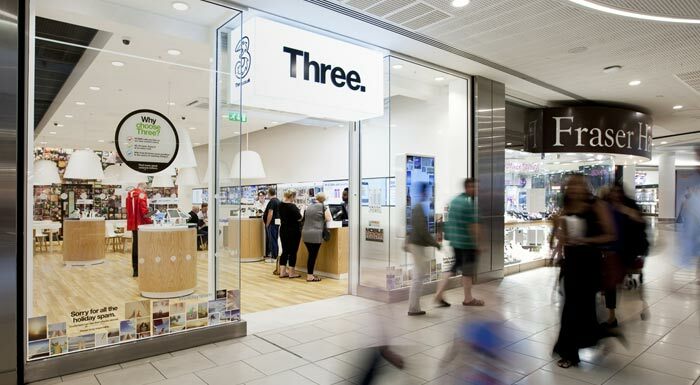 According to a statement from Three CFO, Richard Woodward, the expansion of the 'Feel at Home' facility will "cover more than 80 per cent of customer trips". As a reminder, all EU roaming charges must end by June 2017, so what Three is doing is just a little ahead of the curve. However it does offer some useful non-Euro destinations too, as you can see in the flags above. I thought 3 (as it is known here in Denmark) offered the same ‘free roaming’ service in all the countries they operate in. Seems I was wrong. BTW, the service is called ‘3 Like Home’ here. Are they gonna add Great Britain to that list, Cos I can never get a signal here. Used it in Canary islands (owned by spain) and it was unusable. Only http traffic was at full speed, and any app or any https traffic got instantly throttled to 1KB/s.. I could not even use email. Opening bank page to check last transaction took about 5min in total. They clearly had some whitelisting because facebook was smooth as butter.